- You will be picked up from your hotel or from the airport by one of our team, and taken to our office where we will show you the properties that we think best fit your property description and requirements. We will have a short discussion on the area and the amenities available. We will then take you around the local area, stop off for lunch and let you get a feel of the place. 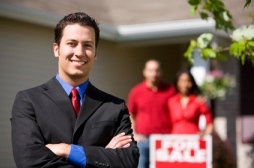 You will have a chance to re-visit any properties and take pictures. If you decide to buy we will assist you through the whole purchase process and provide you with translation of all documents involved in the property purchase. 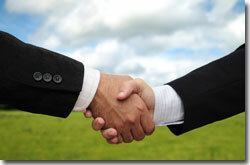 - With our help and support you will set-up your Bulgarian company. You may do this in person or by authorizing us through a Power Of Attorney. - Just 5 BG Lev need to be deposited into a company bank account - this is the starting capital of your company. Not like before 5000lv. - 300 Euros are fees for the setting up of the limited company, these fees include lawyers’ fees who prepare all the documents for the company, go to different services to register it and arrange all procedures and documents, plus all papers officially translated and stamped into English and posted back to you. - 100 Euros - bank fees and charges to open, to close and to withdraw payment from your account. After this 6 stages you are officially owner of a Bulgarian property. Local information- hospitals, schools ect. - Monthly property inspection and a provision of a comprehensive report of faults and concerns. Reported items are discussed with the home owner and a program of repairs agreed. Immediate attention to emergency repairs, minimising damage to your property and avoiding worry for you. Regular airing & inspection visits to ensure that your home is always fresh and in good order. Cleaning and preparation of your property before you or your guests arrive, so you can relax and enjoy your home from the moment you get here. Gardening, watering and care of indoor plants so that your garden is always lush and pristine. According to the Bulgarian Accountancy legislation, all registered companies must present their annual accounts, preparing an annual tax report. These documents all must be submitted in the local Tax Office not later than 31-th March of each year. Your company is performing a kind of activity if you make any improvements on your property, related to partial or full renovation or reconstruction. If your company rents the property out and receives rental income it is considered as a functioning one. This means receiving or issuing , receipts, invoices , bank statements, paying the local fees and taxes – we work with qualified accountants who can prepare all the necessary documentation. Meanwhile we will keep you informed about your company financial status, incomes, taxes, expenses etc. If you decide to rent your property out we can advertise it in the magazines, local newspapers, web-pages etc. We will keep you informed about all the reservations and the rental amounts. Agency commission - WE DO NOT CHARGE ANY COMMISSION FROM THE BUYER in each purchase of real estate done through our mediation from MySunnyBulgaria.com. Other expenses: Depending on each property there are other expenses like: notary fees, tax when purchasing property, stamp duty, checks on the property ownership, etc. These additional charges are very small and usually around 3% of the price. These should be paid separately by the buyer. Fee for registration of firm - our consultants and lawyers will assist you by setting up or joining a company incorporated under Bulgarian legislation foreign person. The fee is about 300 EURO. Transport/taxi charges: For using company's car or taxi for the viewing trips we charge 0.30 Euros per km to cover the petrol charges and wear costs of the vehicle. if you want, you may rent a car and will offer you a car according to your taste at very reasonable prices.